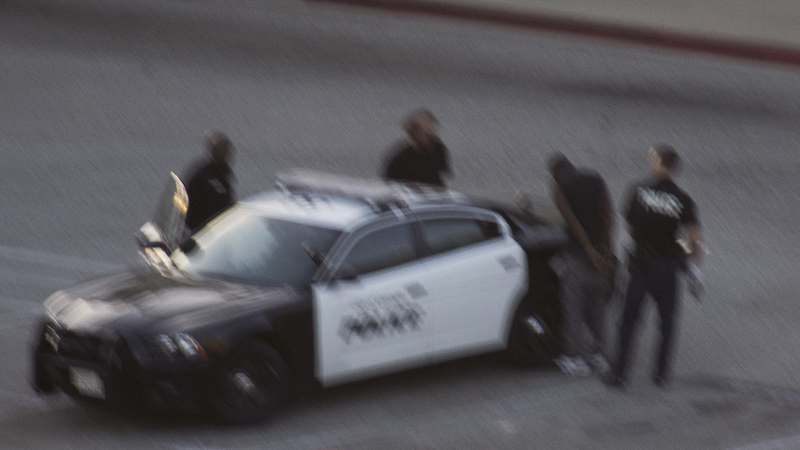 Police officers transport two men who appeared to be in custody into the Orange County Central Jail Complex. 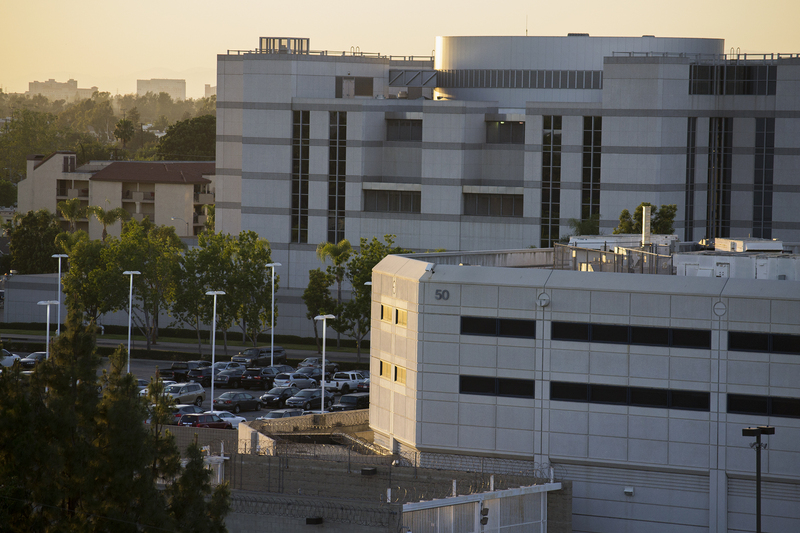 The Orange County Central Jail Complex. Santa Ana looking west down 3rd Street. 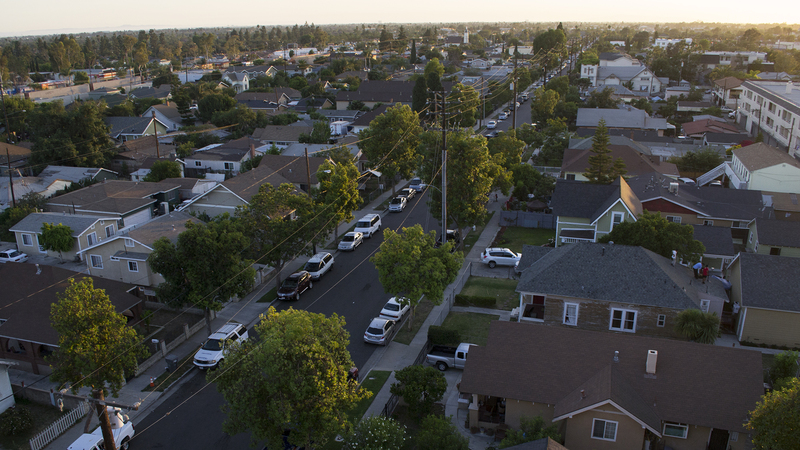 Photos taken at the top of a parking structure next to the Orange County Sheriff’s Department headquarters and the Orange County Central Jail Complex on June 4, 2014. By Tim Worden. All rights reserved.